It’s no secret that BB creams have recently taken the beauty world by storm. A long-standing favorite of makeup lovers in Asia, these do-it-all creams have swept through the western world, leaving prettier, glowier skin in their wake. So, what’s all the fuss about? More than a tinted moisturizer and not quite a foundation, these tinted creams also contain SPF, brighten skin, provide anti-aging benefits and hydrate, all while blurring imperfections – all in one step. First Place: Maybelline Dream Fresh BB – Not only did this cream get top marks for hydration, coverage and staying power, it also comes in a variety of shades and costs less than $10. Winner! Second Place: Boscia BB Creams – I tried their original formula and their self-adjusting version. Unfortunately, they were both too dark for my fair complexion. However, these provided the smoothest, best-looking coverage of all the creams. Perfect for girls with a medium skin tone! Third Place: Clinique Age Defense BB – This cream is the only one that came in a light enough shade to perfectly match my skin, and its coverage was great, but I found the formula quite drying. If you have oily skin, this could be the BB for you. Honorable Mention: Dr. Jart BB Creams – I tried a couple versions of these BBs – both solid creams. I found the coverage to be extremely sheer, but the hydration and SPF levels are great. This entry was posted in Beauty, Makeup, Skin care and tagged BB Cream, BB Creams, Boscia BB, Clinique Age Defense BB, Dr. Jart BB, Maybelline Dream Fresh BB. Bookmark the permalink. I definitely need to jump on the BB bandwagon. Love the title of the article btw!! Thank you for the recap! I have wondered what I’ve been missing out on. Going to purchase the Maybelline cream per your suggestion today! 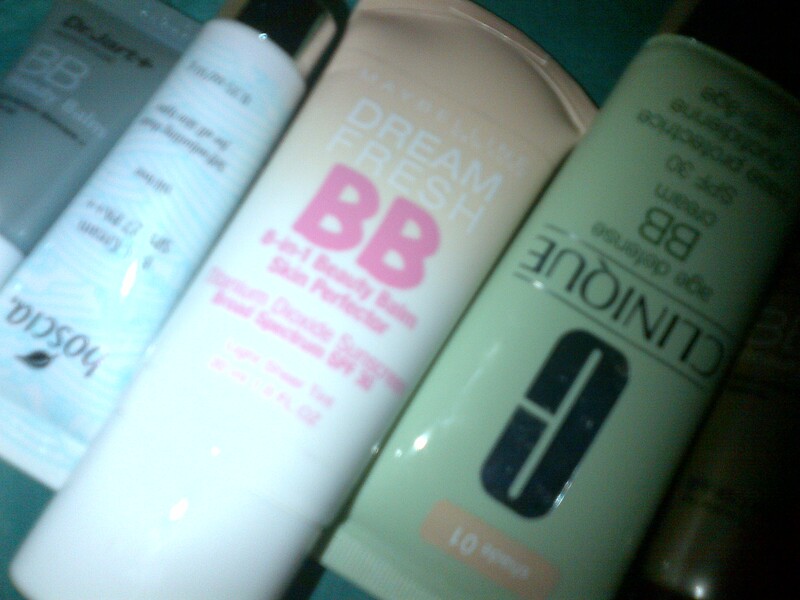 American BB Creams & Korean BB creams are very different. You’ll find the Korean brands do so much more because they’ve been at it for years and have ingredients western people aren’t very comfortable with. Haha Take Dr. Jart for example (Dr. Jart is a korean brand). Not all of them, but many of their bb creams contain snail essence, which heals acne scaring and promotes rejuvenation of the skin. ㅋㅋㅋㅋㅋ It freaks western people out though, but it’s such an amazing and wonderful ingredient. Thanks so much for this post! Since BBs are all the craze right now, of course I have been wanting to try one out! With an under $10 price tag, you can’t beat that Maybelline cream! I will surely give it a try! Thanks again!